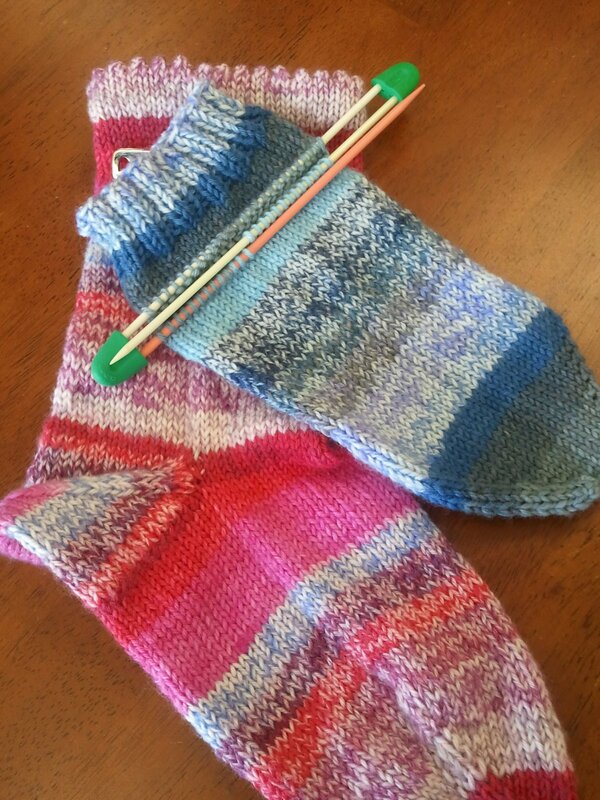 This is a 4 week class ... come and learn to master sizing, working with double point needles (or magic loop, or flexiflips) and all the techniques that go into knitting a pair of socks! Join us for this very addictive project!! If you have size 1 or 2 double pointed needles, bring them and any sock yarn you might have. If not no worries we have plenty of choices! Must be able to cast on, knit, purl and bind off.